Panko Breading - What Breading is the best for your Restaurant? Request test samples or schedule a personal sales call at your location. Take the challenge and compare. Bring home Truly Authentic Japanese Panko Bread Crumbs for only $0.19/oz. 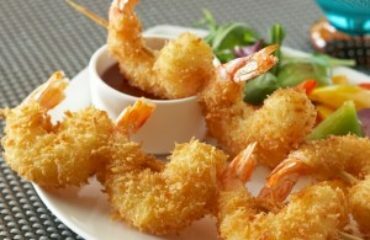 Tempura Batter Mix and Caribbean Coconut Panko also available. About Upper Crust Enterprises, Inc.
A chef is a master of many cooking techniques; flambéing, poaching, and yes, even frying. That perfect crisp is no accident, and according to The Food Lab, there are several different coatings to choose from to deliver the flavor and texture experience you desire. Knowing the breading varieties available to you and their traits can take your fried foods to a new level of perfection. The article perfectly explains why it’s crucial to batter and bread fried food and not just throw your protein or vegetable into the 400°F oil. We all know that won’t work. The purpose of the batter or breading is to protect the flavor and moisture integrity of the protein or vegetable while simultaneously creating a layer of crispy textured goodness. To help you better understand how to achieve this graceful balance, we have listed The Food Labs Pros and Cons for the core breading options; Seasoned flour, Standard Breadcrumbs and Panko Japanese breadcrumbs. How It’s Done: Brined or soaked (often in buttermilk) pieces of food are tossed in seasoned flour and fried. Pros: When done well, produces plenty of crunchy, dark brown crust. Cons: A little messy (you often end up breading your hands). Causes extremely rapid breakdown of oil. How It’s Done:Food is dredged in flour, followed by beaten eggs, followed by dried breadcrumbs. Pros: Very easy, though it requires a few pans for dredging. Achieves a very crisp, solid, airtight crust that absorbs sauces well. Cons: Breadcrumbs can sometimes be too flavorful, obscuring the food they coat. Standard breadcrumbs can get soft fairly rapidly. Causes fairly rapid breakdown of oil. Note the “Crispness Level” is a 5 out of 10, which is only at the half-way mark for excellence. Mediocre is not what most professional chefs strive for. How It’s Done: As with standard breadcrumbs, food is dredged in flour, followed by beaten eggs, followed by panko. Pros: Panko crumbs have tons of surface area, leading to exceptionally crisp coatings. Cons: Panko can occasionally be hard to find. A very thick coating means that the food underneath must be quite robust. Level of crispness – 9 on a scale of 1-10 is pretty amazing! I would say that is a definite Pro! The “Con”, While standard Panko is more readily available, Authentic Panko can be harder to find, unless you know where to look and what to look for. User beware, many commercial Panko products are NOT authentic Panko. Low-quality Panko products are more dense and create a hard texture which is not desired when using a Panko. Not sure the Panko you’re currently using is an Authentic Japanese Panko? Look for the following to ensure you’re using an authentic Panko. Large sliver shape crumb (flaky look) – Standard Panko will be have small round crumbs. Light airy texture – Authentic Panko will always be light and delicate. Standard Panko has a very hard and dense texture. A simple change to Authentic Panko could have a big impact on all your fried food items. If you’re not using Upper Crust Enterprises Authentic Japanese Panko, we invite you to try it risk free. For over 35 years, Upper Crust Enterprises has been producing Authentic Panko breadcrumbs for Japanese and many other restaurants across the globe. Keeping to the traditional Japanese methods and taking the time to do it right in blending, baking, elongated drying process, and grinding is the secret. Provide at least a 26% better yield than standard Panko. 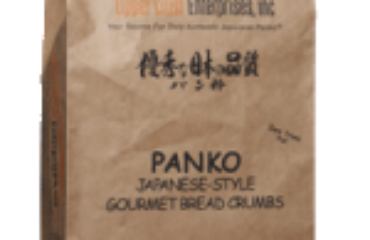 Upper Crust Enterprises authentic Japanese Panko breadcrumbs are available in All Natural. All of our Panko is certified GMO Free, vegan, Kosher and Halal. Bring home Truly Authentic Japanese Panko Bread Crumbs for only $0.19/oz. Tempura Batter Mix also available. Not all Japanese Panko Bread Crumbs are created equal! By using an authentic Panko it will make a noticeable difference in your final menu item. 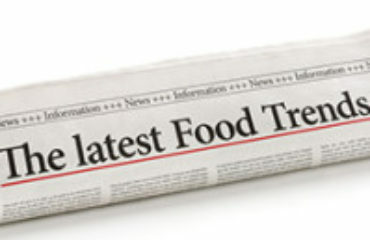 For over 30 years, Upper Crust Enterprises has been a leader in providing truly Authentic Gourmet Japanese Bread Crumbs to restaurants all over the world. Authentic Panko. One Ingredient. Endless Applications. 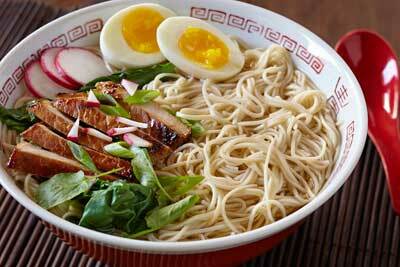 Complete your menu with Authentic Japanese and Asian Noodles, Skins and Wrappers from Nanka Seimen.